The factors controlling the distribution of terrestrial vertebrates and neritic invertebrates are briefly discussed and it is concluded that in both cases the separation of continental fragments by ocean should lead to genetic isolation and hence morphological divergence, while suturing of continents should result in convergence, perhaps accompanied by extinction through competition. Four distributional patterns relevant to plate tectonics are distinguished. Convergence and divergence refer respectively to the degrees of resemblance of faunas in different regions either increasing or decreasing in the course of time. Complementarity in convergence-divergence patterns of contemporary terrestrial and marine animals is the third type, and disjunct endemism the fourth. 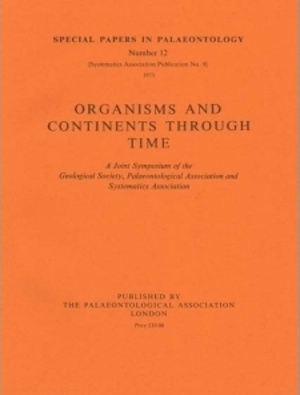 The examples cited have a bearing on the closure of the Proto-Atlantic ocean, of Asia on Europe in the Late Palaeozoic and of Africa on Eurasia in the Tertiary, as well as the Late Mesozoic disintegration of Pangaea.